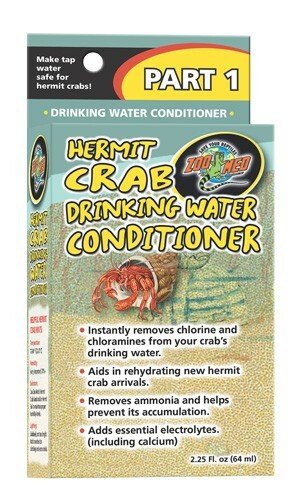 Hermit Crab Drinking Water Conditioner | Zoo Med Laboratories, Inc.
Use Zoo Med’s Hermit Crab Salt Water Conditioner (Part 2) in a second bowl of water to add essential sea salts for your Hermit Crabs. Add 2 drops to each cup (8 fl. oz.) of water. Measure amount of water in your crab’s water dish and adjust dosage (drops) accordingly. Use every time water is changed.